CORAL GABLES, Fla.--(BUSINESS WIRE)--AerSale®, a global supplier of mid-life aircraft, engines, used serviceable material, and maintenance, repair, and overhaul (MRO) services, announced today it has promoted Basil Barimo, formerly Chief Operating Officer, to Chief Executive Officer, and Craig Wright, formerly Chief Commercial Officer, to President, to facilitate rapid expansion of the business. AerSale founder Nicolas Finazzo will serve as Executive Chairman and co-founder Robert B. Nichols will serve as Executive Vice Chairman. 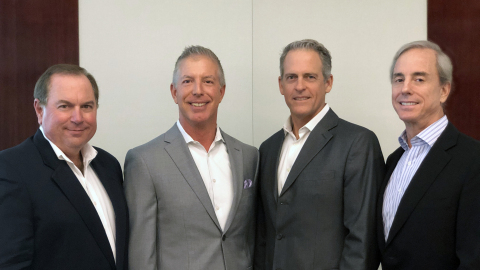 In November 2018, the company announced its fourth strategic acquisition of an MRO business with the purchase of Miami-based component specialist Avborne. A global aviation leader celebrating its 10-year anniversary, AerSale specializes in the sale, lease, and exchange of used aircraft, engines, and components, in addition to providing a broad range of MRO and engineering services for commercial aircraft and components. AerSale also offers asset management services to owners of end-of-life aircraft and engine portfolios. Headquartered in Coral Gables, Florida, AerSale maintains offices and operations in the United States, Europe, and Asia.